My Camera, My Friend The photographic explorations of a former film student. Spring at last! This is one of my favorite times of the year. Rain washes the snow and dirt of the long winter away and nourishes the gentle flowers. 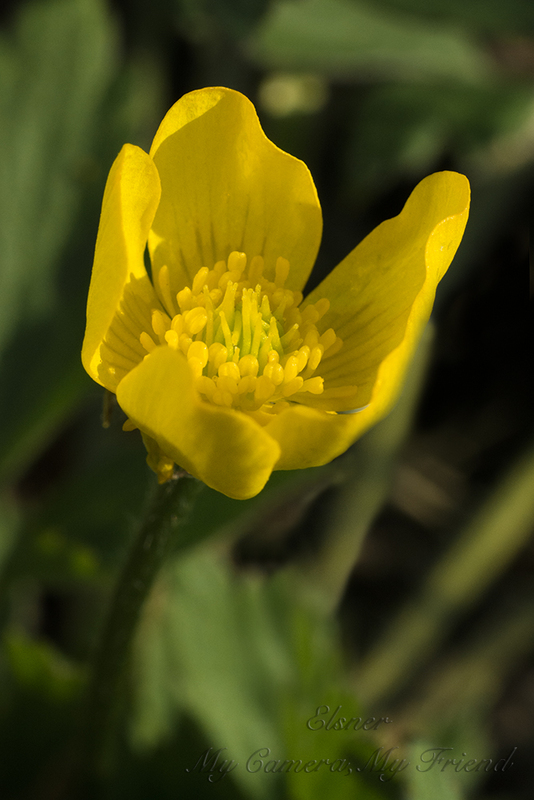 Last week, I went to the park I normally shoot wildflowers at, pulled out the macro for the first time in months, and had a little fun capturing the rebirth of the green outdoor world for the season. Everything depends on the weather and what the plants do. Spring is here! 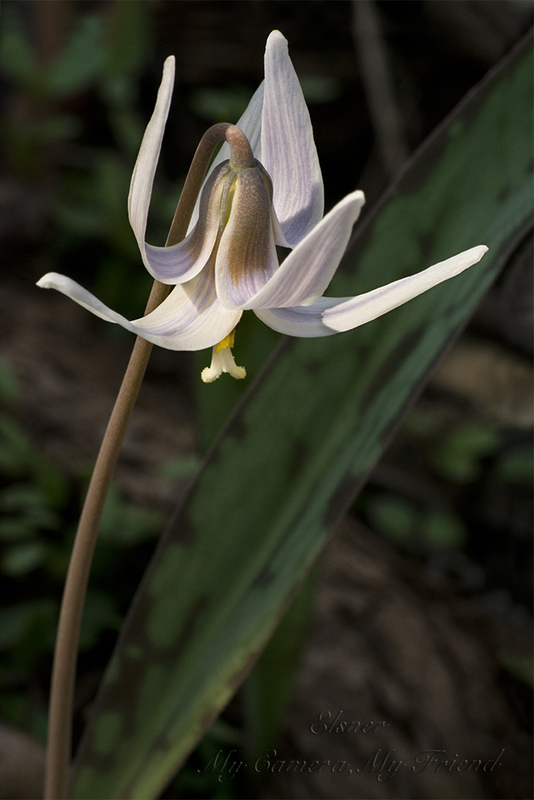 I’ve been out shooting wildflowers the past couple weekends. 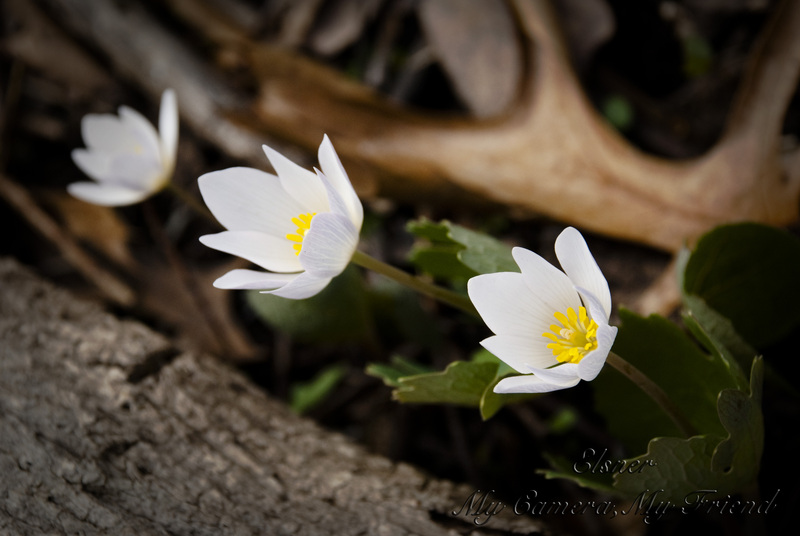 Several years ago around this time, I did a post on the wildflowers in a local forest preserve. 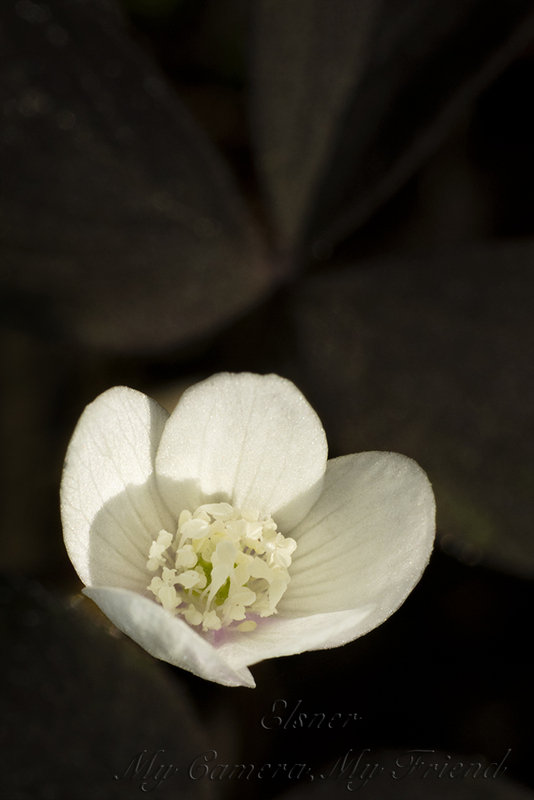 Recently, I noticed it was about the same time of year, and I decided I wanted to go photograph them again. The ground was thick with several varieties. 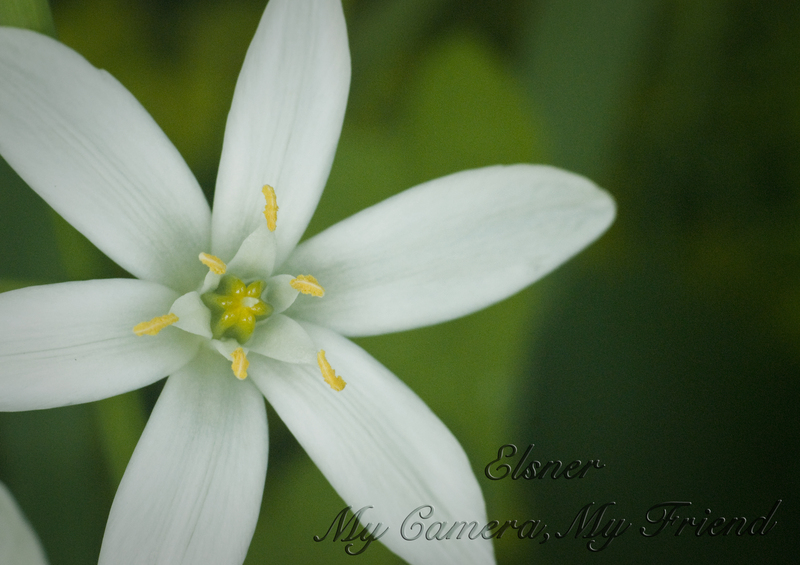 Due to the wind and small size of my subjects, I used a macro lens and a higher ISO, but no tripod. My tripod doesn’t go very low and the wind would negate many of its benefits. These are always tough subjects, but I love them anyway. The warmer weather means more to do, so I will be a little busy the next couple of weeks. Because of that, I will post some older pictures I took at the local photo club’s table top night back in January. As usual, I plan to keep blogging every other week and spend a lot of time in nature – all four season are beautiful. I also want to get back into more table top (it’s a skill I need to work at and winter isn’t just beautiful, it’s cold!). Hopefully, I will finish the video, shoot macro, post more good cat photos, and have a few adventures. Only time will tell. Happy Labor Day, otherwise known as the cultural end of Summer in the northern United States. 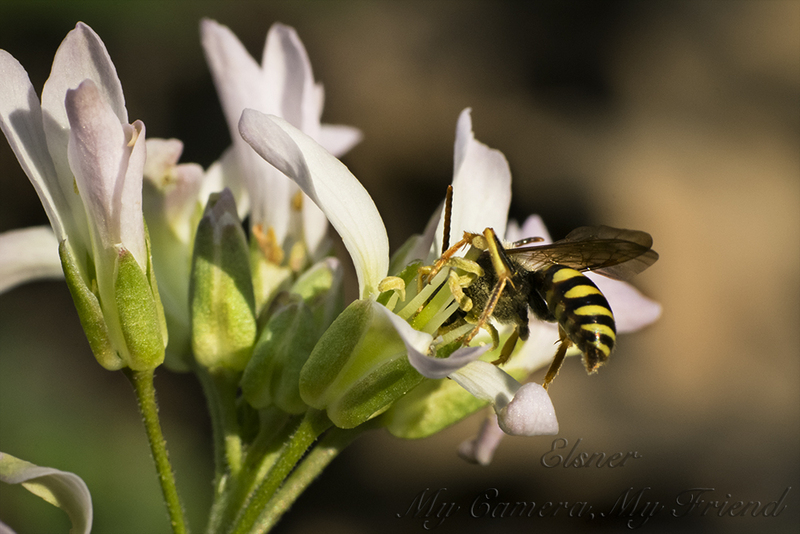 Here are a few photos of Summer wildflowers I shot a few weeks ago. Before you know it, I’ll be posting fall scenery. Next Time: Either portrait, otherworldly, or abstract. I haven’t made up my mind yet. My apologies for the late post. Around 6pm yesterday as I was preparing to finnish the photos, my home was plunged into an uproar with tornado sirens going off and humans frantically trying to locate flashlights and kitties. The power came back on around 3pm this afternoon. Other than that, it was beautiful last week. Not many new flowers were out, and the ones that “made the grade” for my blog were not exactly what you think of when you hear the word flowers. 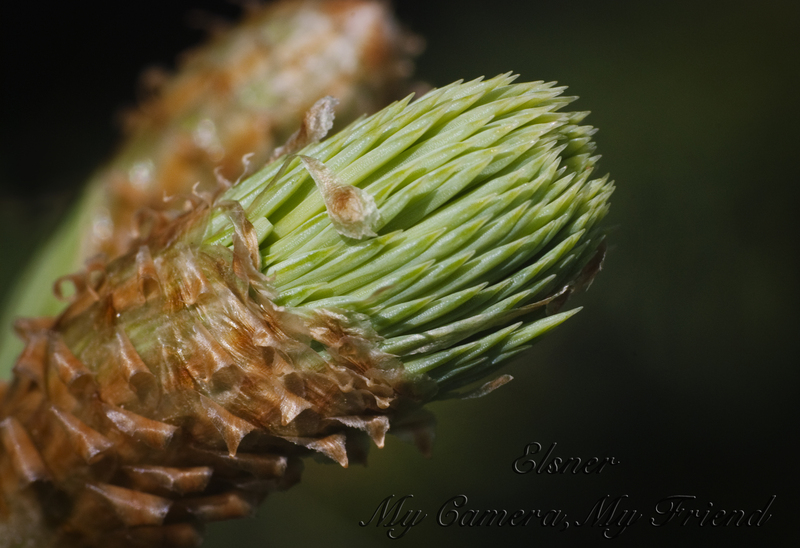 The blue spruce outside my window is unfurling for the spring. The new growth comes out of reddish-brown casings and is a lovely shade of green swirled up so the end looks semi-flower-like. 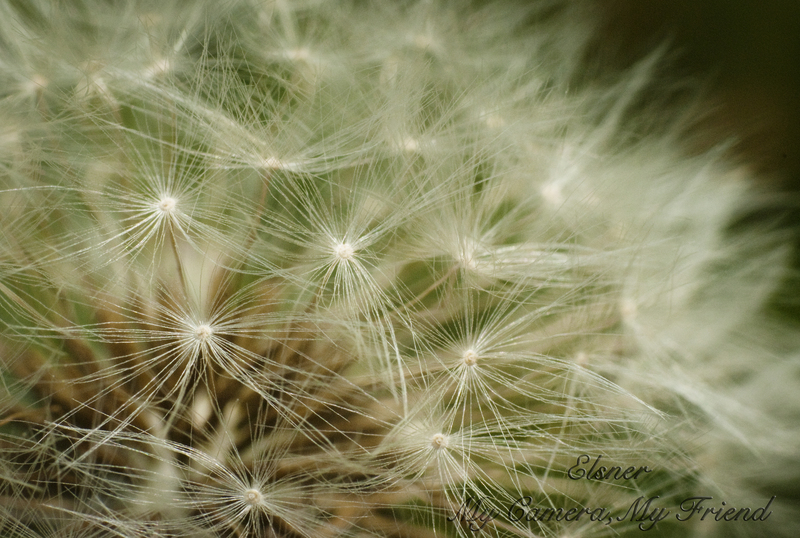 The dandelion, a common weed, produces the most magical looking fluff towards the end of its life cycle. Here, I used a macro lens to capture the detail. 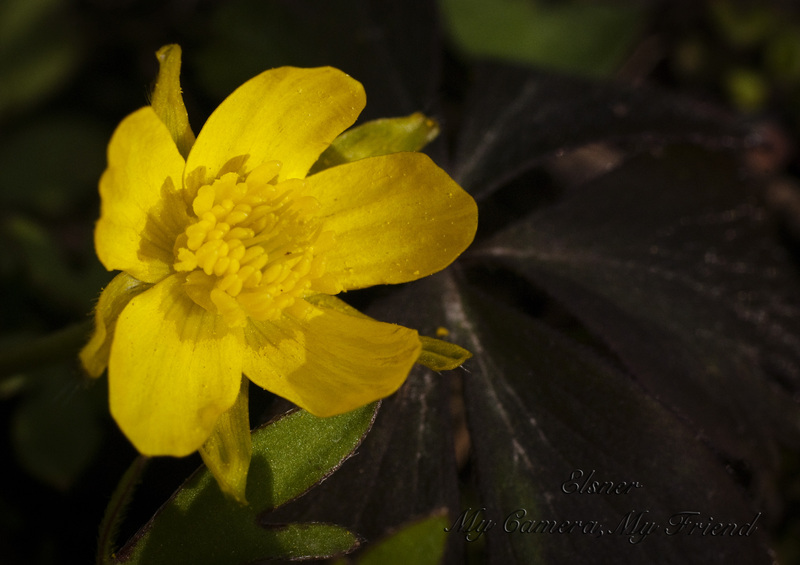 As for other weeds, I was a horrible gardener and let this one grow in my shade garden because I wanted to see what it would look like when it bloomed. It paid me back by producing a lovely, yet unusual flower. 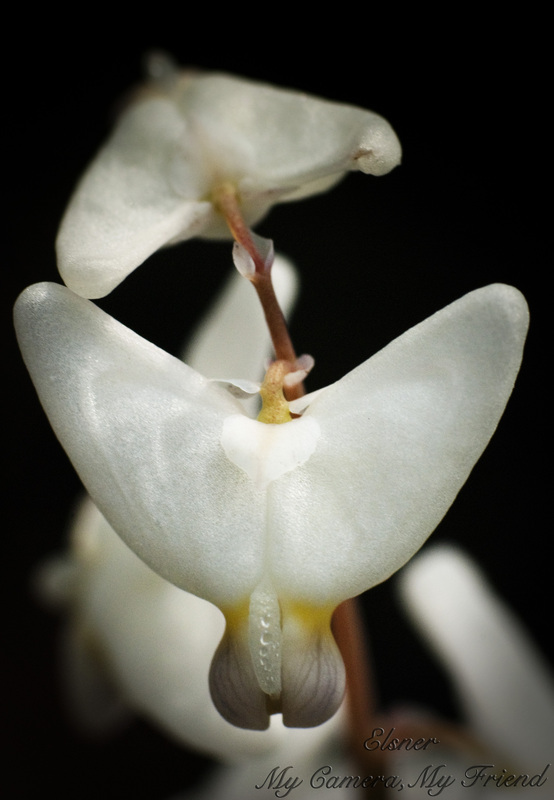 The anthers seem to be attached to small petals rather than the normal stalk like structures on most flowers. 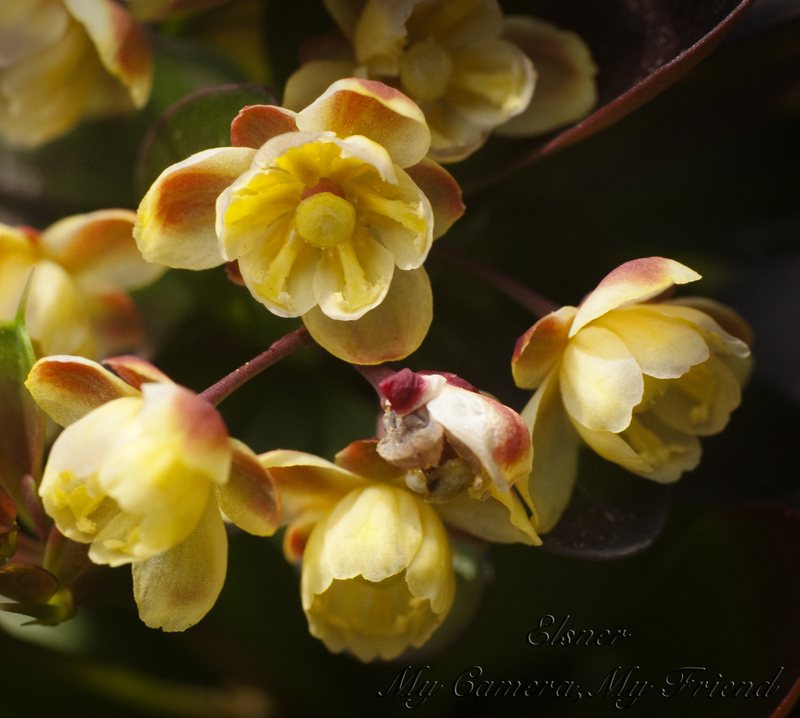 Lastly, these tiny flowers come from a red, thorny bush. I’ve passed those bushes many times without noticing the delicate ornaments. When I finally did see them, I had to wait for enough light to photograph them. Sometimes there’s beauty in less than obvious places. Life is short, so take time to smell the roses, or whatever else you find out there. Since I’ve been threatening to do it for so long, I’m going to show you what my very first camera looks like. I may have a few others as well. It’s spring in the midwest. Rains pour frequently, and when it’s sunny, winds still blow. The first flowers are finally out. 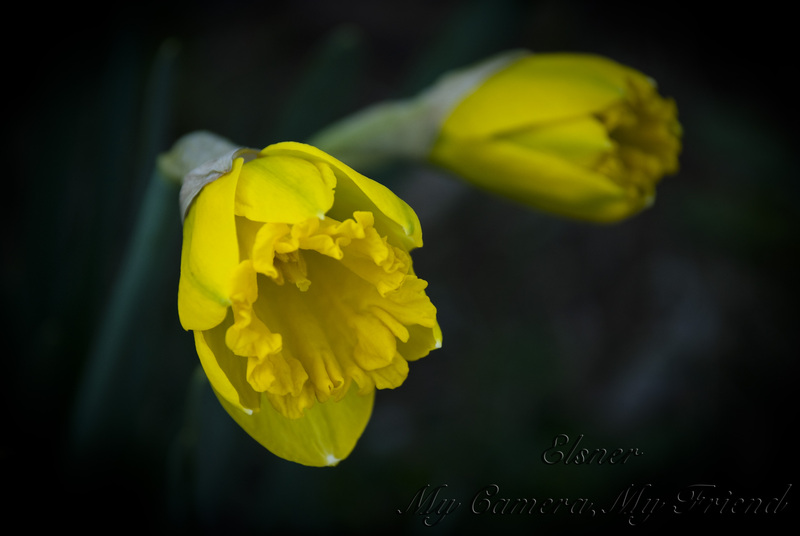 In my yard, the daffodils unfold for spring, brining their bright yellow hue to the rain and clouds around us. A welcome contrast. In the woods, there are also flowers. Untamed by man, nature’s wild charms adorn an otherwise plain scene. These small yellow flowers are about the size of your thumbnail. 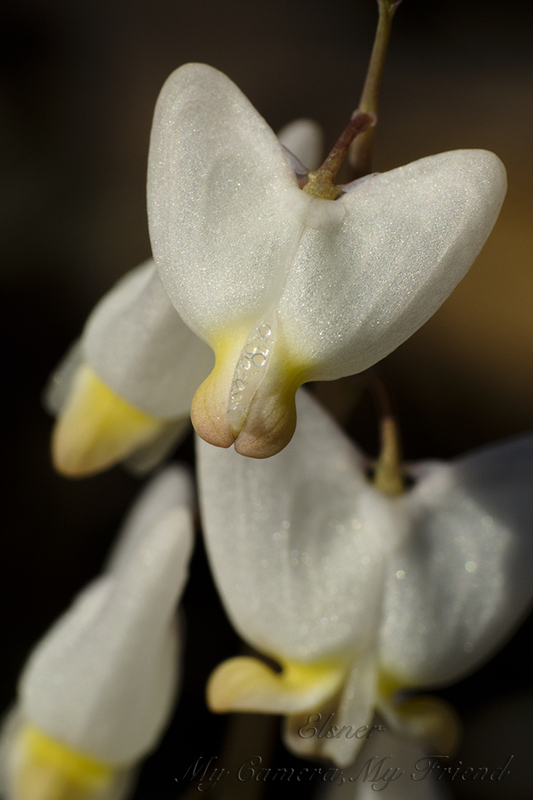 Slightly larger white wildflowers grow in clumps around trees. Nearby, the ground is covered with strange leafy vegetation. Yet there is something oddly familiar about those leaves. The flowers tell all. These plants appear to be the wild cousin of my beloved bleeding heart bush. However, their flowers look a bit more like butterflies than hearts sometimes. 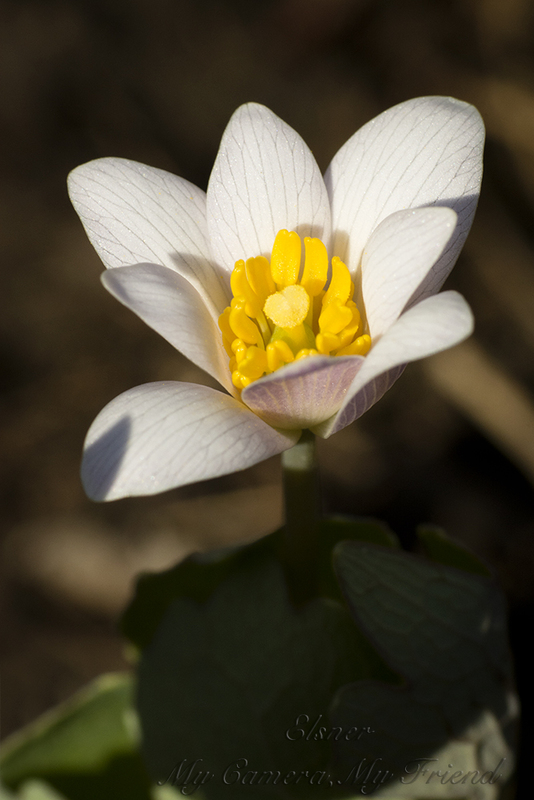 These wildflowers are out in bloom before most of their tame counterparts, daring the snow and frost and showing the strength of their beauty. They are proof that wild beauty is natural and tough. Time to get back to indoor shots. As I mentioned last week, someone I know would like a couple of vases photographed.